These days the royal family is making headlines for all the wrong reasons. If the Duchess of Sussex and her 'tantrums' aren't enough to draw all the unwanted attention, there was a recent report that suggested if Prince William was cheating on wife and Duchess of Cambridge, Kate Middleton. In Touch Weekly ran front page news suggesting that the Duke was cheating on his wife during her third pregnancy when she was expecting their son Louis. While such gossip stories were always discussed in the past, it's only the first media when a mainstream publication has carried it as news. And that has upset the family so much so that their lawyers decided to issue a statement. Kate Middleton And Meghan Markle Quash Animosity Rumours By Exchanging Kisses At The Commonwealth Day Service - View Pic! London law firm, Harbottle and Lewis, who has represented the royal family in the past has issued a notice claiming all their facts as baseless. As per the Daily Beast, an excerpt read: “In addition to being false and highly damaging, the publication of false speculation in respect of our client’s private life also constitutes a breach of his privacy pursuant to Article 8 of the European Convention to Human Rights." Speaking about the 'cheating story', it was reported that Prince William cheated on Kate with their neighbour, the Marchioness of Cholmondeley, Rose Hanbury. And when Kate became aware of this, she confronted William who laughed it off. However, she has asked William to stop socialising with the other family. “Kate sees their friendship in an entirely different light now. They come across as a perfect couple who can do no wrong. But the reality is, most couples have their issues and William and Kate are no different. [The scandal] has rocked the palace and their marriage," said a source to In Touch Weekly. 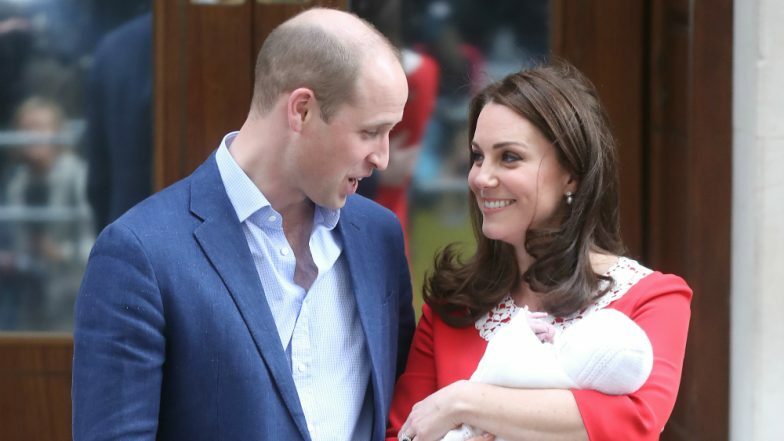 Is Kate Middleton Ready For Baby No 4? The Duchess Responds! Now, that's a scandal that might take an ugly turn. However, with his lawyers in the picture now, they would take all the necessary steps to avoid painting any rough picture and the matter will be hopefully forgotten very soon.